Each year, J.D. Power surveys thousands of original owners of 3-year-old car, truck, SUV, and van owners to ask them what has gone right and what has gone wrong with their vehicles during the previous 12 months of ownership. After the market research firm collects and analyzes the data, the findings are published in the annual Vehicle Dependability Study (VDS) to help automakers improve their products and consumers make smarter purchase decisions. For consumers, J.D. Power converts the data into an overall 10-point rating, with 10 being the best. This makes the overall findings easy to interpret, and to compare between models. This guide includes the most dependable family SUVs sold for the 2016 model year. Each one earns an overall score of 9 or 10, and they are listed in alphabetical order. Those models that led their vehicle segment in dependability, receiving an award as a result, are clearly identified. Many people don’t realize this, but by official Chevrolet measurements, the Traverse 8-passenger crossover SUV is actually more accommodating of passengers and cargo than the company’s bigger, heavier, thirstier, and more expensive Chevrolet Tahoe. So, if you don’t need to tow, now you know. For 2016, Chevrolet added a standard Wi-Fi service connection through OnStar, offered new option packages for LT models, and redesigned the available 20-inch aluminum wheels. Two new paint colors also debuted that year. The 2016 Chevrolet Traverse receives a Vehicle Dependability score of 9 out of 10. Just one year after a complete redesign, Ford’s 5-passenger midsize crossover SUV received several changes to improve the vehicle. From steps taken to quiet the interior to a dramatically improved infotainment system, the 2016 Edge gained several useful enhancements. Ford sold the 2016 Edge in SE, SEL, Titanium, and Sport trim. Turbocharged 4-cylinder and V6 engines were available, along with a tried-and-true 3.5-liter V6. Titanium trim bordered on luxury, while Sport trim delivered genuine performance, making the Edge legitimately fun to drive. The 2016 Ford Edge receives a Vehicle Dependability score of 8 out of 10. By 2016, the Ford Expedition was in need of a complete redesign, but that didn’t mean it wasn’t a compelling full-size SUV. Thanks to an independent rear suspension, it offered more cargo and third-row passenger space than the primary competition. And thanks to a standard twin-turbocharged V6, it could tow more trailer weight, too. Instead of a redesign, though, Ford gave the 2016 Expedition its new Sync 3 infotainment system, dramatically improving the user experience in the process. An all-new Expedition would not arrive until 2018. 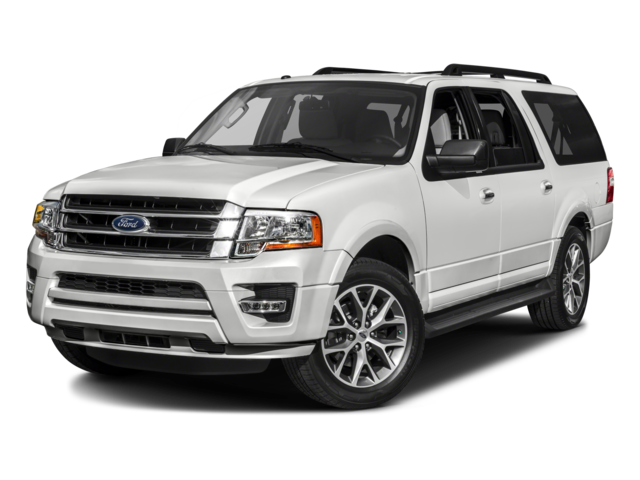 The 2016 Ford Expedition receives a Vehicle Dependability score of 8 out of 10, and receives an award in the Large SUV category. Hyundai made no changes to the 2016 Santa Fe, unless you consider a trim level name change something worthy of mention (the GLS became the SE). As such, the Santa Fe soldiered on in SE and Limited trim levels, the 3-row, 7-passenger midsize crossover SUV powered by a robust 290-horse 3.3-liter V6 engine. All-wheel drive was an option, and the roomy Santa Fe supplied more than 40 cubic feet of cargo space behind the second-row seat, and a maximum volume of 80 cu.-ft. The 2016 Hyundai Santa Fe receives a Vehicle Dependability score of 9 out of 10, and receives an award in the Midsize SUV category. When you build the same vehicle for years on end, you work out the kinks. That might explain the 2016 Jeep Grand Cherokee’s performance in this year’s VDS. For 2016, Jeep added automatic engine stop/start to the standard 3.6-liter V6 engine, revised the suspension to incorporate more aluminum components, installed more efficient electric steering in most versions of the Grand Cherokee, and redesigned the SUV’s confusing transmission shifter. The 2016 Jeep Grand Cherokee receives a Vehicle Dependability score of 8 out of 10. Kia redesigned the Sorento for the 2016 model year, substantially improving the midsize 5- or 7-passenger SUV in the process. Offered in a wide range of trim levels, with or without AWD, and with a choice between a 4-cylinder, a turbocharged 4-cylinder, and a V6 engine, there is something for everyone when it comes to this stylish crossover. Third-row space is cramped, and the Sorento isn’t terribly large when it comes to carrying cargo, but in other respects this is a solid, secure, and safe choice. The 2016 Kia Sorento receives a Vehicle Dependability score of 8 out of 10. Subaru redesigned the popular Outback for 2015, so for 2016 the 5-passenger crossover received minor updates. They included revised steering and suspension tuning, additional safety features, and new Starlink connected services packages. Buyers chose between standard, Premium, and Limited trim levels, paired with a 4-cylinder or a 6-cylinder engine. Every Outback was equipped with standard AWD and offered an impressive 8.7 inches of ground clearance, and this Subaru could swallow 35.5 cu.-ft. of cargo behind the rear seat and up to 73.3 cu.-ft. with the back seat folded down. The 2016 Subaru Outback receives a Vehicle Dependability score of 8 out of 10. The more the SUV market changes, the more the Toyota 4Runner stays the same. A dependable and rugged off-roader, like the Jeep Grand Cherokee is, the 4Runner is able to go places and do things that a crossover SUV simply can’t. For 2016, Toyota made Bluetooth connectivity standard. Otherwise, the 4Runner remained much as it was in 2010, and much as it is brand new today. A durable 270-hp V6 engine powered the rear wheels, unless the original owner specified 4-wheel drive. Trim levels included SR5, Trail, upscale Limited, and off-road-ready TRD Pro. The 2016 Toyota 4Runner receives a Vehicle Dependability score of 8 out of 10. One of the most popular vehicles in the country with families, the Toyota Highlander is a 3-row, 8-passenger, midsize crossover SUV. For the 2016 model year, Toyota offered it with a 4-cylinder or a V6 engine, and in LE, LE Plus, XLE, Limited, and Limited Platinum trim levels. A fuel-efficient hybrid version was available, too. Toyota carried this popular model over for the 2016 model year. But, changes were coming with a freshening for the 2017 Highlander. The 2016 Toyota Highlander receives a Vehicle Dependability score of 8 out of 10.